A big discovery by scientists could have major ramifications for future cancer treatments. 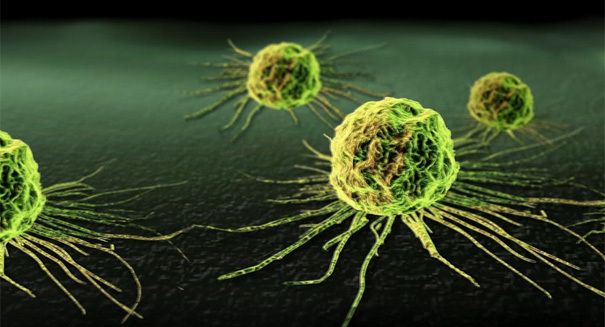 A massive new discovery by scientists using a revolutionary cancer therapy could train the body’s own immune cells to attack tumors. The study found that patients who had a five-month life expectancy due to advanced blood cancers saw complete remission after 18 months and no sign of the cancer returning, according to an Times of India report. The treatment works by using a white blood cell called a T-cell engineering the laboratory that would spot tumors and then attack them. The research ound that 90 percent of 35 patients who had acute lymphoblastic leukemia had a complete remission — a truly miracle cure. In addition, more than 80 percent of patients in two other clinical trials who had non-Hodgkin’s lymphoma or chronic lymphocyte leukaemia responded to the treatment, with about half of them being in complete remission. While the results are nothing short of spectacular, scientists downplayed the results of T-cell therapy. They noted that not everyone responded, and some patients had to endure side effects that were so severe that they died as result. But for terminally ill patients who have no better option, it is truly good news. Summary results of the research were presented at the American Association for the Advancement of Science in Washington, D.C. The full study will be published later this year.